Achieving these doesn’t just happen by chance, they must be designed into the training offer. So we work passionately to design a training course for you to enable these four imperatives to be achieved. Our extensive knowledge and practical experience spans over 20 years and falls into three categories. Very focused and helpful. Very good collaborative approach. Excellent communications and great clarity. Completely delivered on the project as promised. Fantastic job! Absolute pleasure to work with and learn from a real expert. Mark is an absolute legend! I am so fortunate to have found such an experienced professional with great expertise in this field! Thank you. Mark is a very knowledgeable and an excellent professional, his expertise is very extensive and he has the ability to guide the conversation to make the most of it. Very happy working with him, I definitely recommend working with him! Mark was instrumental in helping develop the Customer Experience programmes at BMW Group UK. He is thoughtful and clever in designing solutions that combine strategic aims with the needs of the ‘person on the ground’ – basically he knows his stuff. If you want a solution that works and provides clear business differentiation, he is someone you should talk to. As a Consultant he operates from a position of trust, integrity and partnership. I have no hesitation in recommending Mark. 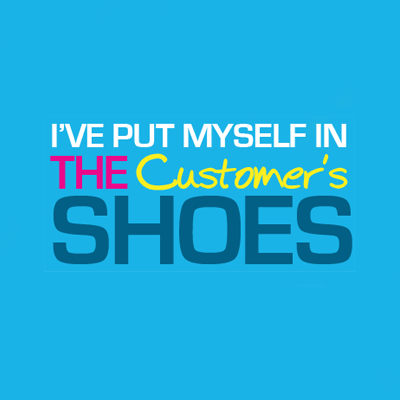 Having worked with The Customer's Shoes in Balfour Beatty WorkPlace, I have been extremely impressed with their experience and skills to design and deliver customer experience programmes. They have the ability to facilitate workshops at any level of the organisation, whether it is top level management or customer facing staff. Cheryl translated the strategies and goals of our club, in relation to the delivery of the customer experience, into a very balanced and insightful workshop on this critical area of our business. Each activity during the workshop was well thought out, supported with the relevant learning aids, and well positioned to challenge the team and help draw conclusions and commitments to take back to our workplace. The feedback from the team regarding the sessions they have attended has been extremely positive. We understand the importance of going the extra mile in business. That’s why our aim is to have your employees become raving fans for the courses you provide them. And for you to become a raving fan of the experience of working with us. Whatever your course design needs are, call us on 0845 548 0228 or email us at – [email protected] for an initial chat to discuss the challenges you face.